I am planning a couple of multi-night trips with a small crew in Glacier National Park and need to know how I can obtain info regarding accessibility to trail heads and if parking is available. Can you provide any information or direct me to where I can get more detailed maps showing parking access to trail heads? 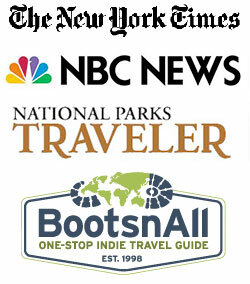 The National Park Service has great information regarding Glacier National Park trailheads. Trail Status Reports – The National Park Service updates this every morning and is the most up-to-date information on Glacier National Park hiking trail access. Glacier National Park Map – This map is the standard Glacier National Park map. What’s great about viewing it here though is that you can easily zoom in and out. There are images for campgrounds, hiking trails, ranger stations, food and dining, backcountry campgrounds and more. Parking is pretty abundant at the trailheads along Going to the Sun Road. I always recommend taking the shuttle from your campground or hotel, or parking at Logan Pass and taking the shuttle from there. You need to get to Logan Pass early to ensure a parking spot though. If you need help planning your trip, be sure to inquire about an itinerary. Have a great trip to Glacier!